All requests should be sent to ryan@scotlandcup.com and must be received 1pm on the Monday before any Scotland Cup Event. No access will be given to any Photographer, videographer or Journalist whether working for a Media Outlet or an individual Club without a Press Pass. This Policy is in place for Child Protection. Press passes will be given to all media by the Media Officer at the Tournament Office at the venue from no ealier than 1.5 hours before the first Kick Off. 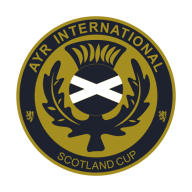 Scotland Cup Tournaments reserves the right to refuse requests for accreditation which arrive after the deadline or do not fulfil the relevant criteria.